Forty-seven years later, a yellow Labrador retriever puppy was born in the whelping unit of Guide Dogs for the Blind in San Rafael, California. The puppy’s name was Roselle. On September 11, 2001, she saved Michael’s life. This is Roselle’s story too. Michael could do almost anything a normal boy could. He enjoyed riding his bike and playing all sorts of games with the local boys, but he was blind since birth. 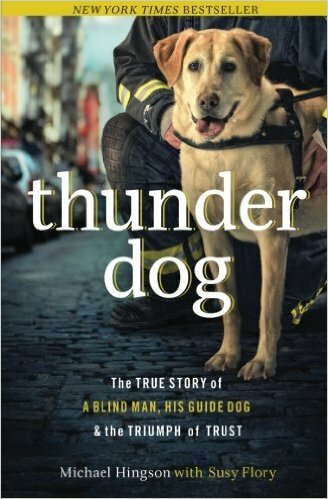 Michael has an incredible story of how he managed life being blind and then how he survived 9/11. This book jumps from Michael’s experience of 9/11 and his past which I found a little annoying because I prefer chronological order. The book takes a few chapters to get into. It creates a good perspective on what people were experiencing on 9/11 and how it is to be blind. This is a good book for teens and adults.